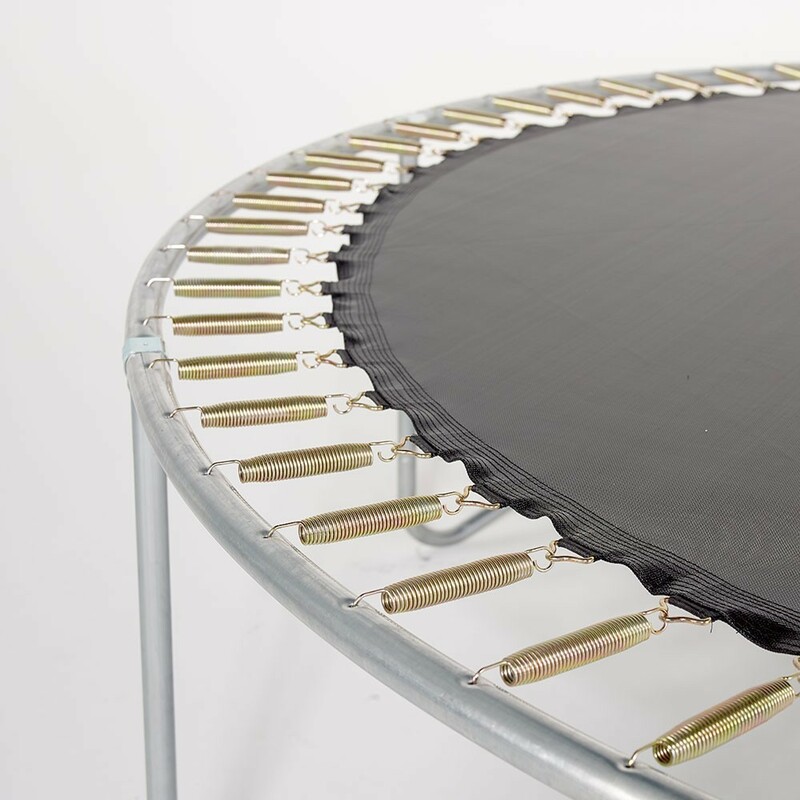 Instead of replacing several costly spare parts separately, France Trampoline recommends purchasing this quality trampoline and installing it with your current 4.57-m safety enclosure. 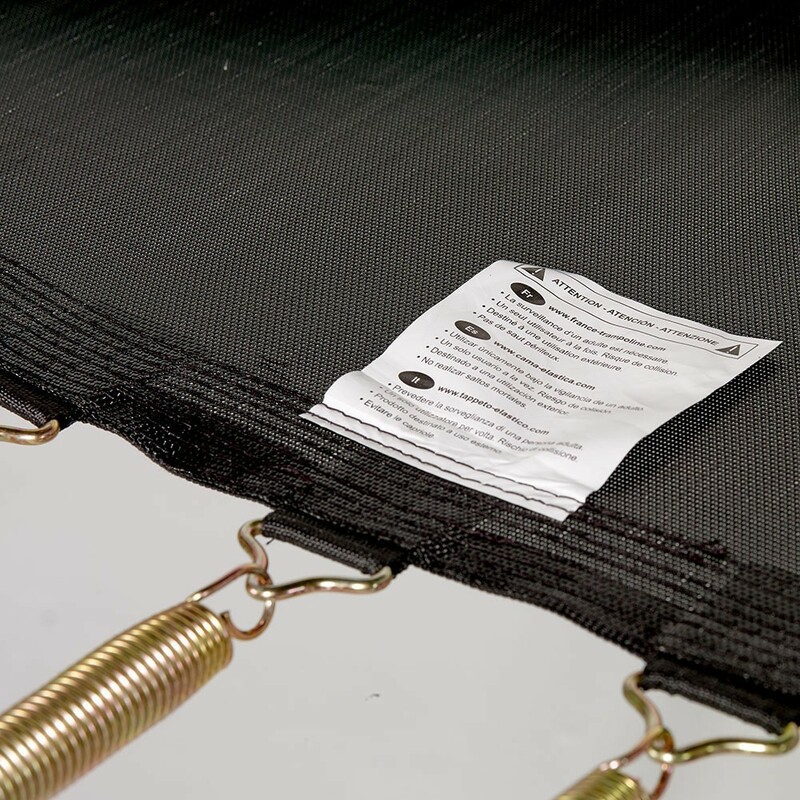 - If your trampoline safety net has 10 net posts and is fastened with mounting brackets, then the Jump'Up 460 trampoline is compatible with your safety enclosure. 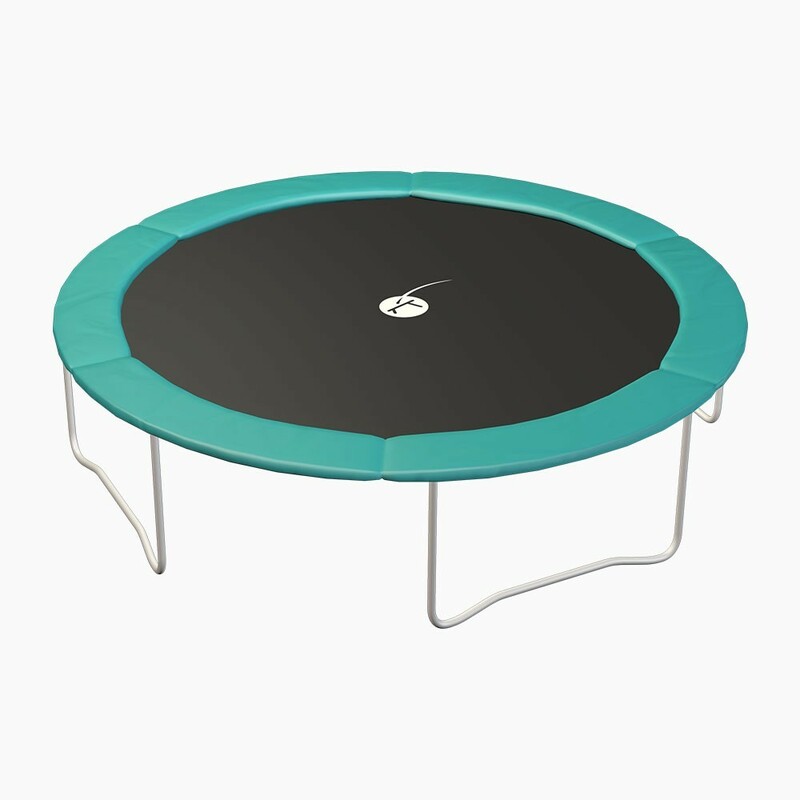 - The outdoor Jump’Up 460 trampoline has an oouter diameter of 4.57 m. Its hot-dipped galvanized frame and W-shaped legs are held together by T-shaped joining parts to avoid the need for welding. 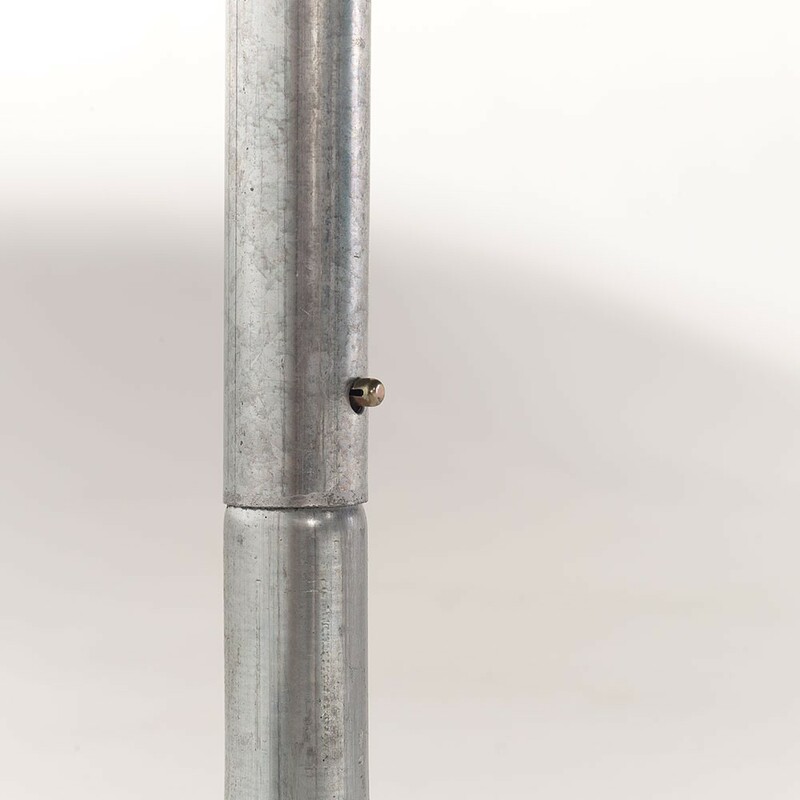 That way this corrosion-resistant structure may remain outdoors year-round. 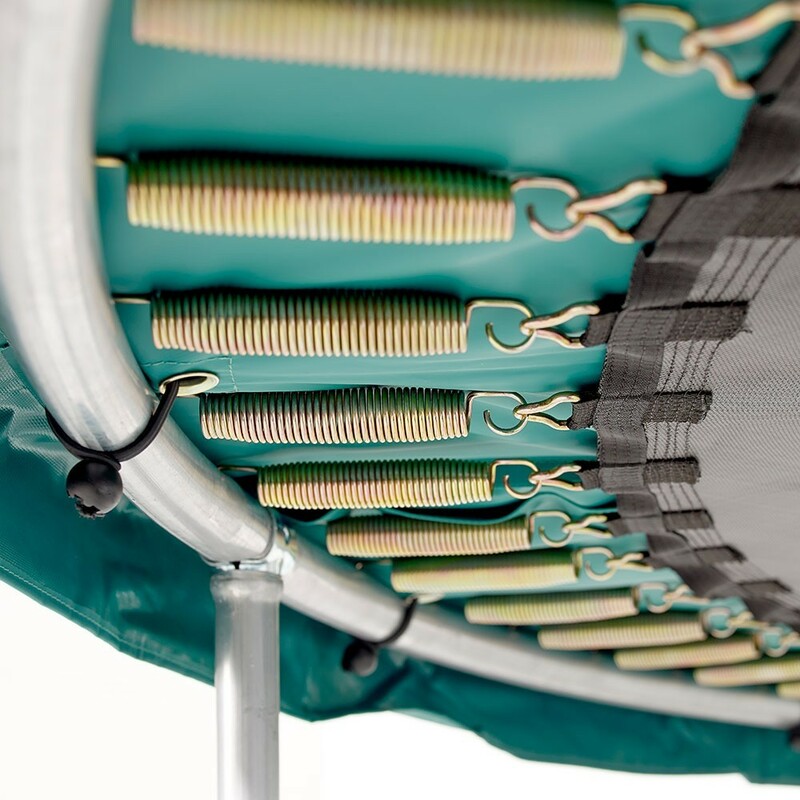 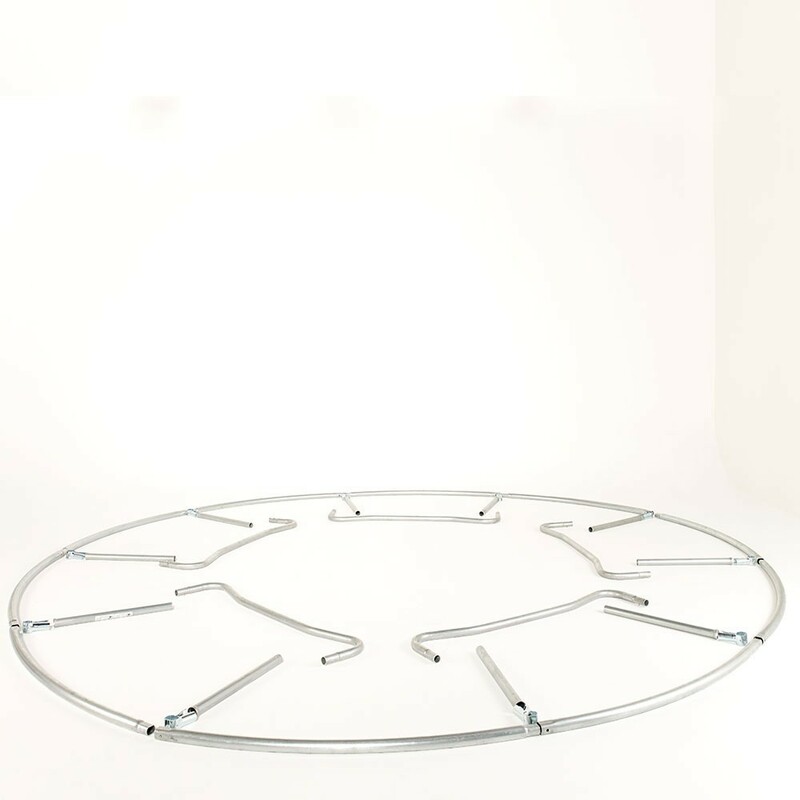 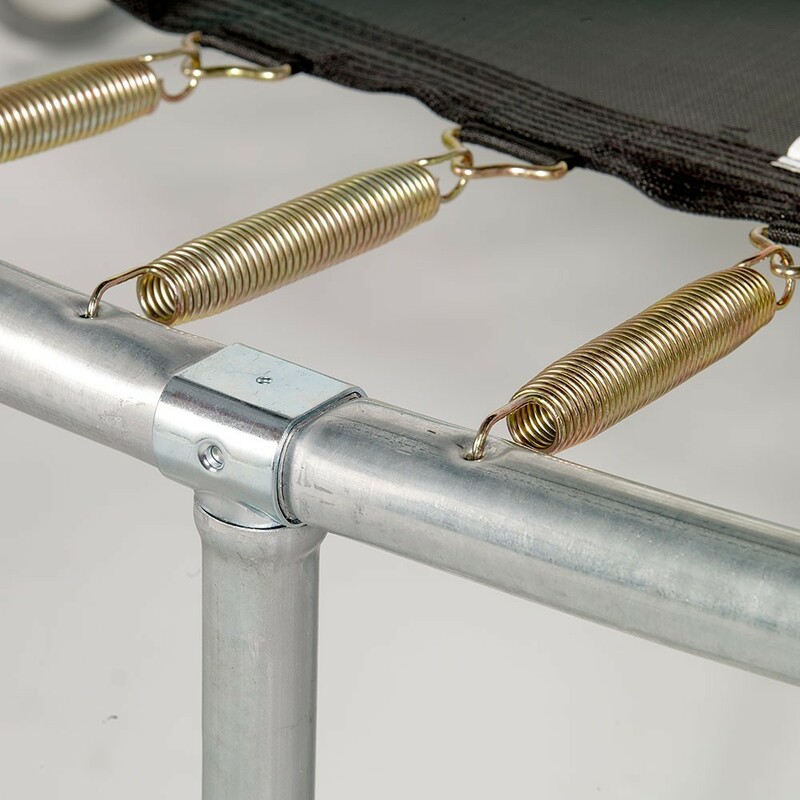 - This family-style trampoline is equipped with 100 springs hooked on to a fine-quality jumping mat. 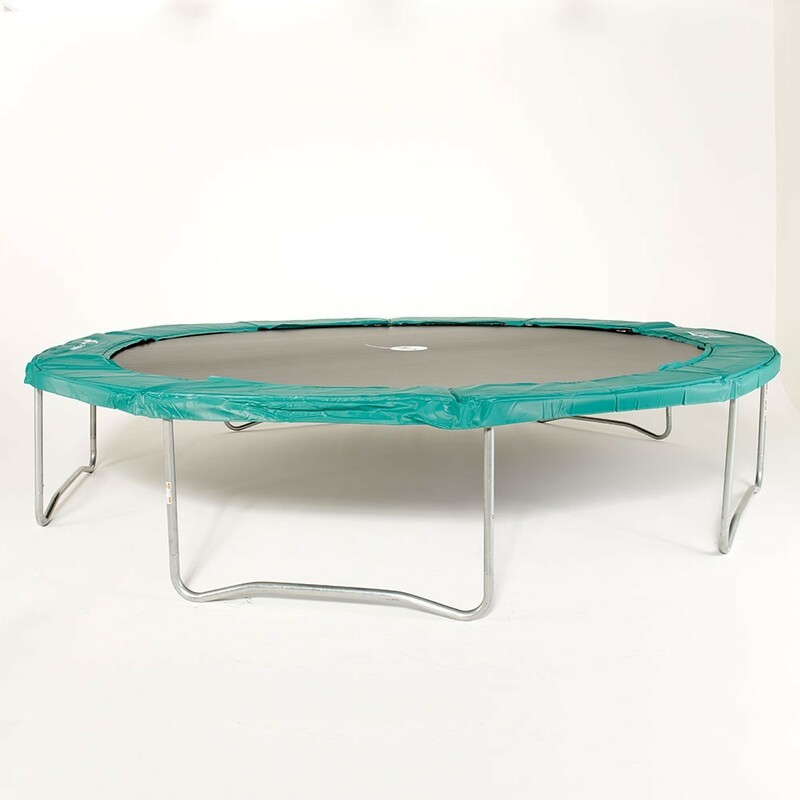 Its 13- m² surface area makes it the largest trampoline in the Jump’Up line. 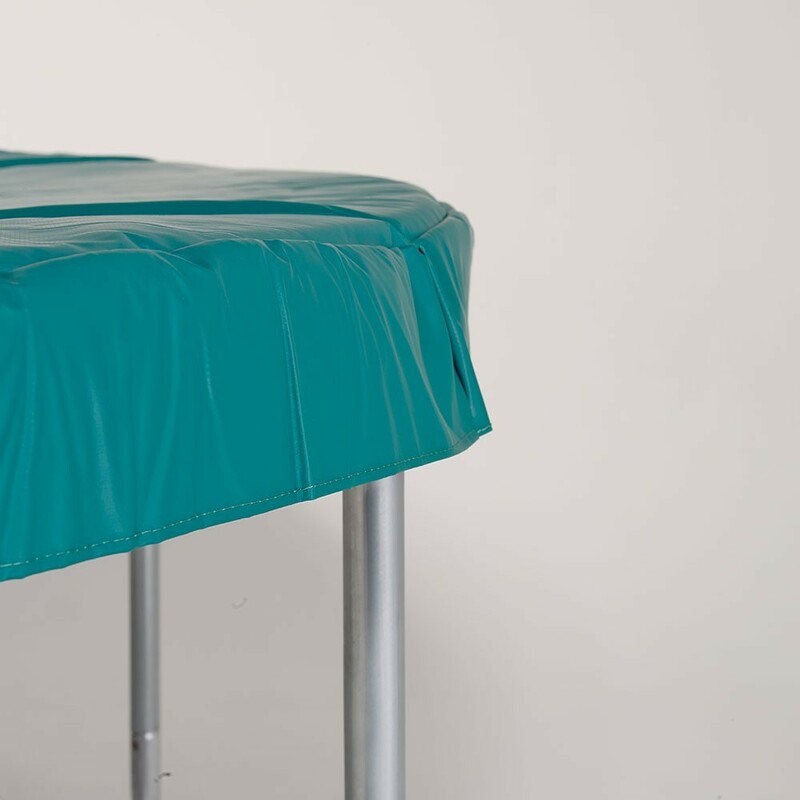 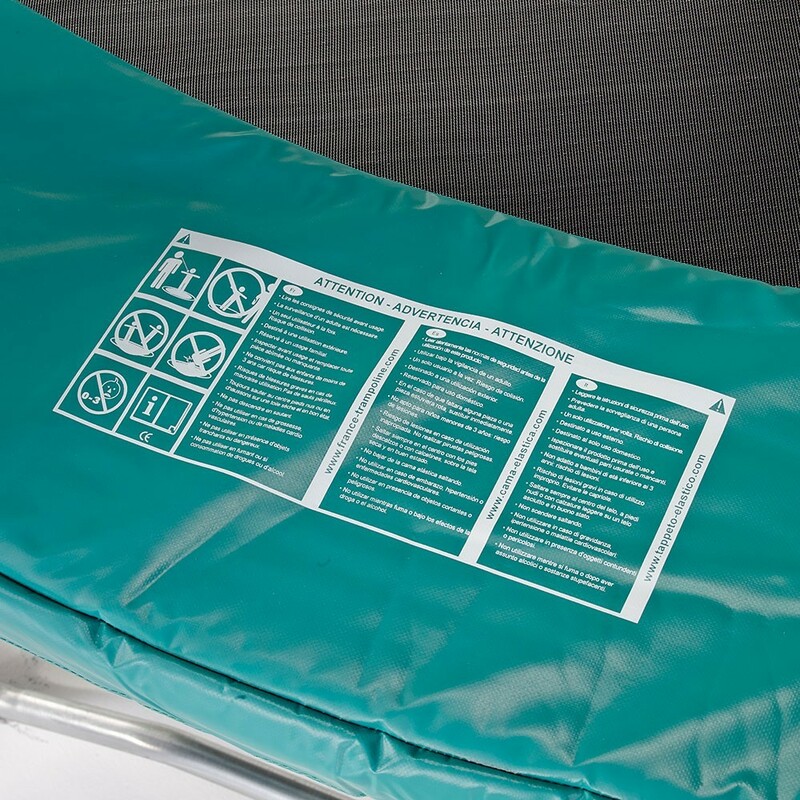 The 20-mm-thick, green safety pad is made of a single piece of foam and covered with UV-resistant PVC.